I wanted to do an update on my Kratky Method inspired Hydro Buckets by addressing some comments and by sharing what I learned along the way. Most importantly I wanted to share my final results on both my hydro bucket Bell Peppers and Tomatoes. One user commented that the buckets should be black, in order to prevent algae growth. While this would be true if the buckets were above ground, my buckets being buried prevents most of the light from coming in. So why did I end up with algae in my water? I meant to cover to tops of the bucket lids but it took me a little while to get around to it. I did end up using some cardboard to cover up the lids and prevent the light from getting in. 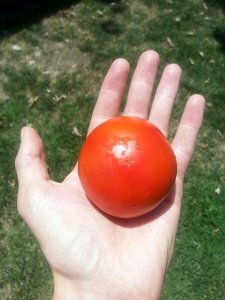 Another user said that I should use 30-40 gallons of water to grow tomatoes because they use so much water. Even in a 5-gallon bucket it would need to be watered once a week. This person was absolutely right about how much water they need. 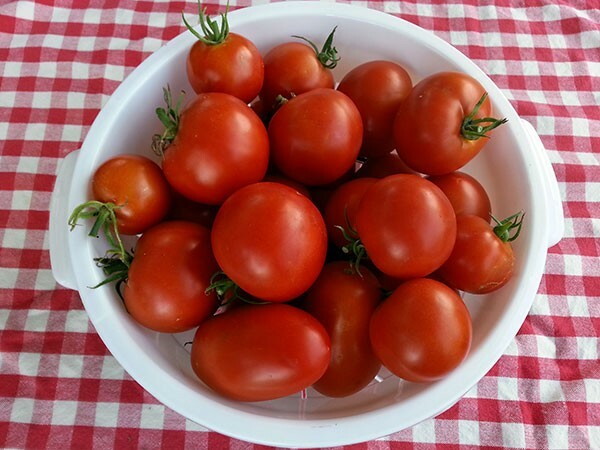 I originally started my tomatoes in a 3 gallon bucket because it is what I had, but I quickly upgraded to a bigger 5-gallon bucket once one became available. I did end up watering it about once a week or more, which wasn’t too hard to manage. Though on hot days it did drink water fast. So a bigger bucket would be better, but 30-40 might be too difficult for some people to handle. I think a 10-gallon trashcan would probably work well and it would still be easy enough to bury. Unlike the tomatoes, the Bell Peppers did just fine in their little 3-gallon Kratky method style buckets. 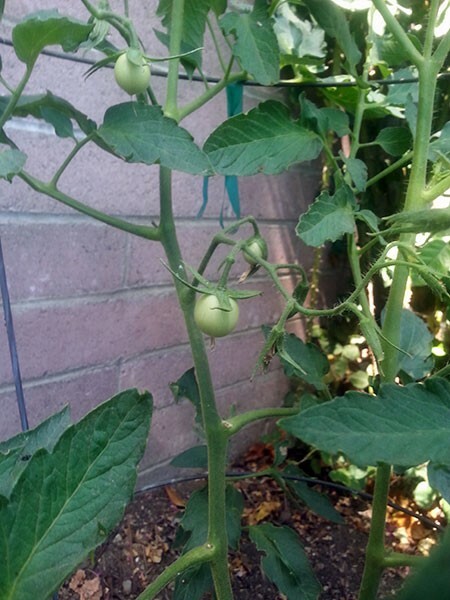 They don’t require nearly as much water as tomatoes, so it was easy for me to keep up with the watering. Overall, I would call the experiment a success, but I wouldn’t say the results are better than going with a true hydroponic setup. On the flip side, my results with the bell peppers did do a lot better than growing them straight in the ground, which is what I really wanted to test anyway. Use less water than growing in dirt and still get better results—sounds like a win, win to me. After I had my hydro buckets set up and growing I took some clippings and started them in a hydroponic tower I had built a few months earlier to grow kale. Since kale doesn’t do well in the California summer heat, I figured I would let a few tomatoes go wild in the thing. 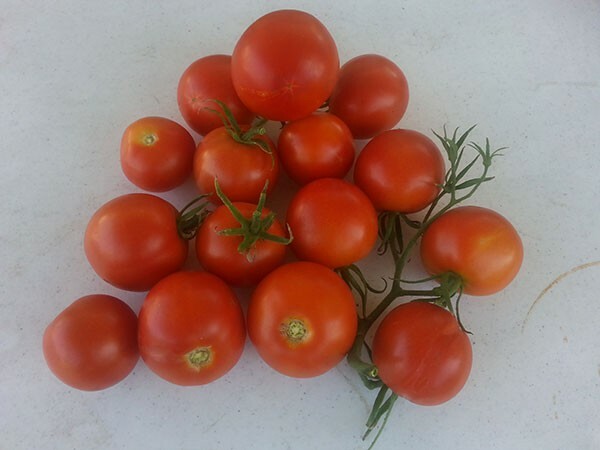 Let’s just say that three small plants produced more tomatoes than I could eat, which was good for friends and family. 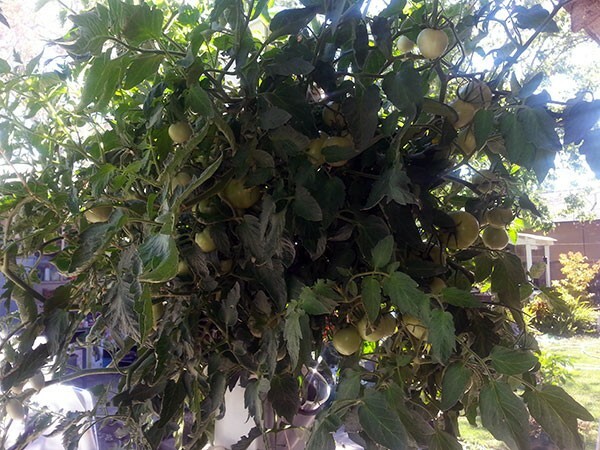 So I probably won’t do Kratky method bucket tomatoes again next year, unless I get a bigger bucket, but I do plan on doing the Kratky method bell peppers again. Also, since Fall and Winter are coming up, I think I might give Kratky method lettuce a go. Lettuce seems to be the plant that gets the best results out of the Kratky Method.